China is home to some of the most exotic and precious species of wildlife, but over the years the deterioration and destruction of wildlife habitats due to rapid urbanization in China has resulted in a number of species becoming endangered and more seriously on the verge of extinction. To protect these endangered animals the government has set up various breeding bases and protection of habitats. The top 10 endangered species are located in different locations across China and these bases are open to the public to visit. To get up close and personal with the animals will prove to be a surprising trip for animal lovers to China. Check out our top 10 endangered species ranking and found out more about where to see these wonderful animals! The Giant panda was declared an endangered species in 1990 and there is an estimated 1000-2000 still living in the wild. The destruction of bamboo forest have made survival for the pandas difficult. Captive breeding has proven to be successful with an estimated 200 living in captivity and breeding bases. 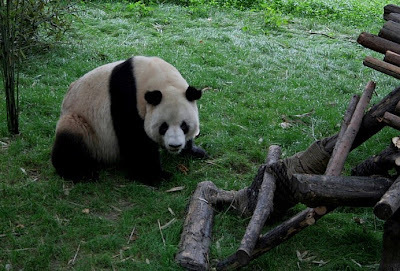 The most famous breeding sanctuaries for pandas is the Chengdu Panda Base where there are currently 83 pandas. Location: Wild pandas can be found in Sichuan, Shaanxi and Gansu province. 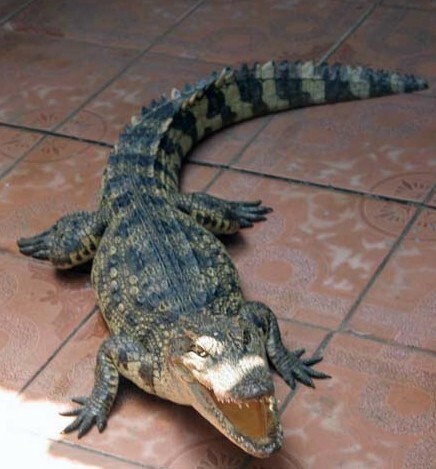 The Chinese Alligator is one of the world’s most endangered species with an estimated 150 in the wild. The alligators are endangered due to poaching and hunting resulting in a large decrease in numbers. In 1979 an Alligator Breeding Centre was established in Anhui and has been very successful in terms of breeding. Location: Alligators can be found in the Yangtze River, Southern Anhui Province, Zhejiang and Jiangsu Province. The beautifully colored Golden Snubbed Nosed Monkey is endangered due to a loss of habitat. Their main diet is Lichen which is found on dead trees but due to the harvesting of dead trees the monkeys have difficulty finding food. The monkey’s can survive in low temperatures compared to other animals. 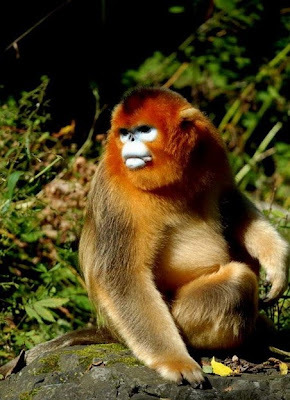 Location: Golden Snubbed Nosed Monkeys can be found in Sichuan, Gansu, Shaanxi and Hubei. The Baiji Dolphin was once hailed as the “Goddess of Yangtze” by fisherman. Sadly the dolphins are now pronounced extinct due to water pollution and river development projects. The dolphins were once found in the Yangtze River and are the only fresh water dolphins in China. Location: The dolphins were once found in the Yangtze River. The South China Tiger has been classified as “functionally extinct” as there have been no signs of the Tigers in the wild for 25 years. The Tigers were once considered pests and hunted also there is no longer sufficient habitat and prey available for them to survive. There have been attempts to breed the Tigers in captivity with some success. 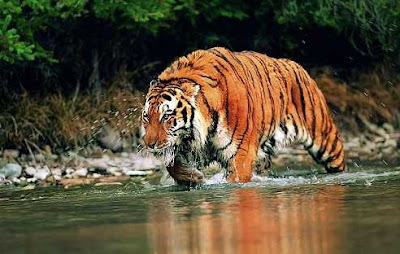 Location: The South China Tiger was originally found in Fujian, Guangdong, Hunan and Jiangxi. The Tibetan antelopes are found at the highest and most remote plateaus in the world, these creatures can be found at elevations of 5,550 meters. Over the past 20 years there has been a decline in the number of Tibetan Antelopes due to poaching for its fur coat. The fur coat of the Antelope is used to weave exquisite materials known as Shahtoosh which are used to make shawls that can be valued at over $20,000 in markets. 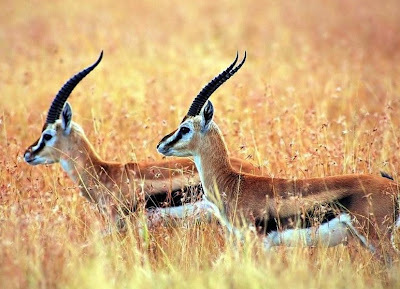 Location: The antelopes are found on the Tibetan Plateau.